A timid cleric attempts to recover some letters written by his newly engaged ward to a previous lover, who is trying to blackmail her. 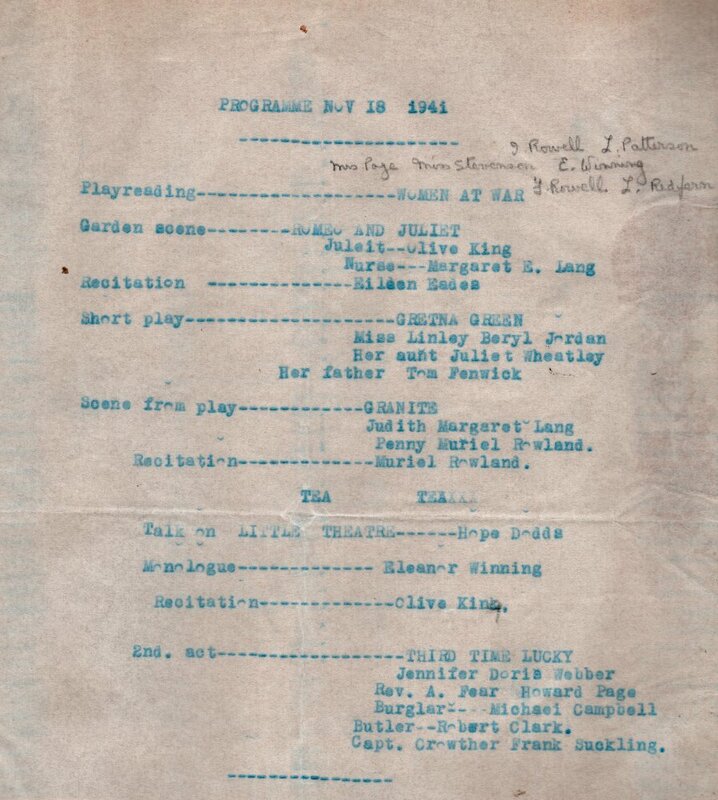 "Gateshead Entertainment For The Troops". An eloping couple are married at the blacksmith's smithy in Gretna, but a confrontation ensues when the bride's relatives catch up with them. 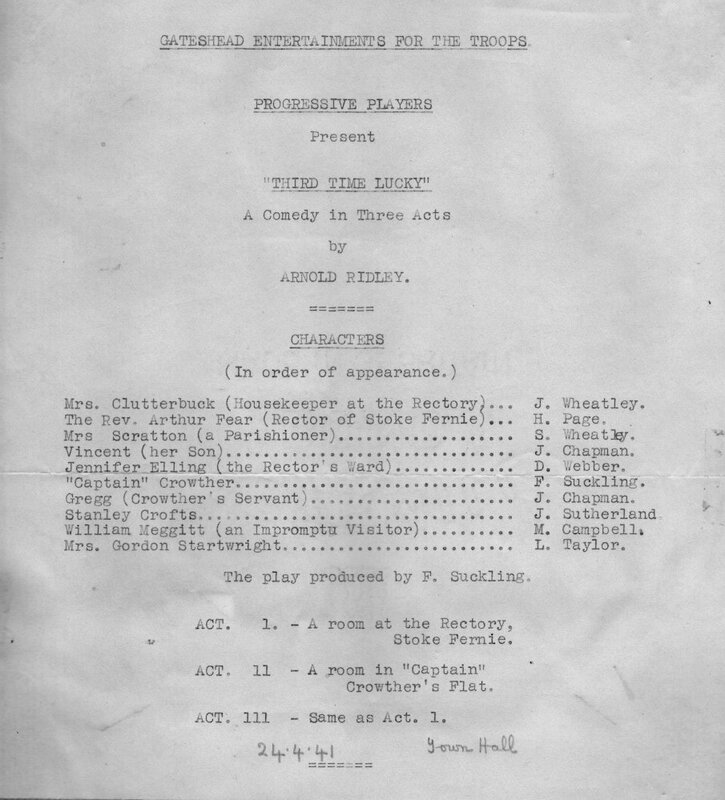 Item on an untitled programme of excerpts and monologues.